Help bring ZhenAi Poppy home! We are the Walker family. 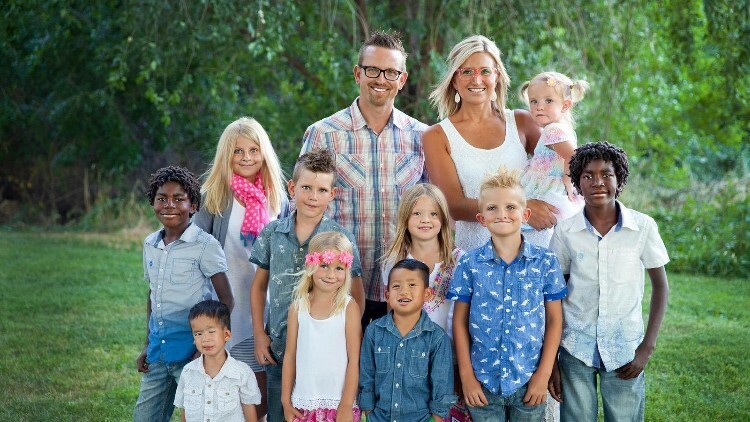 We have 6 young biological children, twin boys adopted from the heart of Africa and 2 little boys adopted from China. With 10 children all within 9 years of each other we were pretty sure we were done. Then God called us to this beautiful girl in China. This is God's story. He's writing it and it is beautiful. ZhenAi (Gen-Eye) Poppy is a beautiful 11 year old girl with mild CP and epilepsy. She is precious and has waited far too long for a family of her own. Hundreds of families have advocated for her and prayed for her family...God has made it very clear that we are that family. We cannot wait to bring our beautiful girl home. In light of the recent reveal behind Planned Parenthood's closed doors...our passion for valuing life is renewed. It's not good enough to believe. It's time for us to find the courage to speak...for those without a voice. It's time to act. Imagine if each of us who is PRO LIFE gave. Just a little. $10 to support a family who has found the courage to bring that child into their family and love them without conditions...? Imagine. The impact YOU could have on preserving and honoring life. 100% of the funds you give goes towards the adoption expenses to bring ZhenAi home and are tax deductible. Thank you from the bottom of our hearts for being a part of this beautiful girl's story! Thank you to each of you who have given, so generously. In the wake of finding out the atrocities happening daily in our country with abortions, you are actively taking a stand for life and bringing a precious orphan girl to her family!! Thank you!! For This Child I Prayed Waiting for the girl in China!